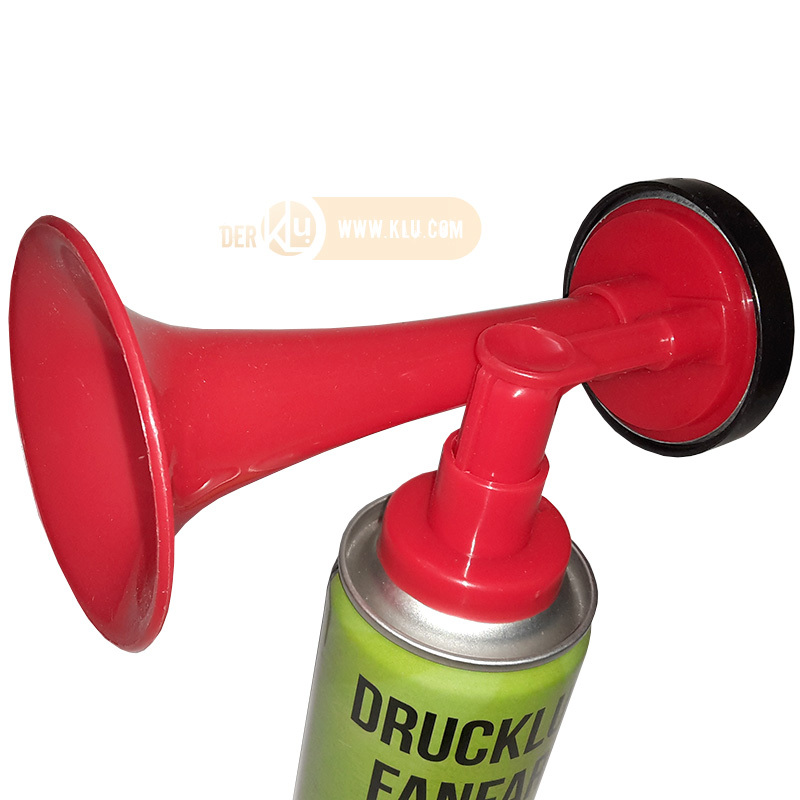 Compressed air fanfare/handy horn in new and sturdier accomplishment! Not flammable! 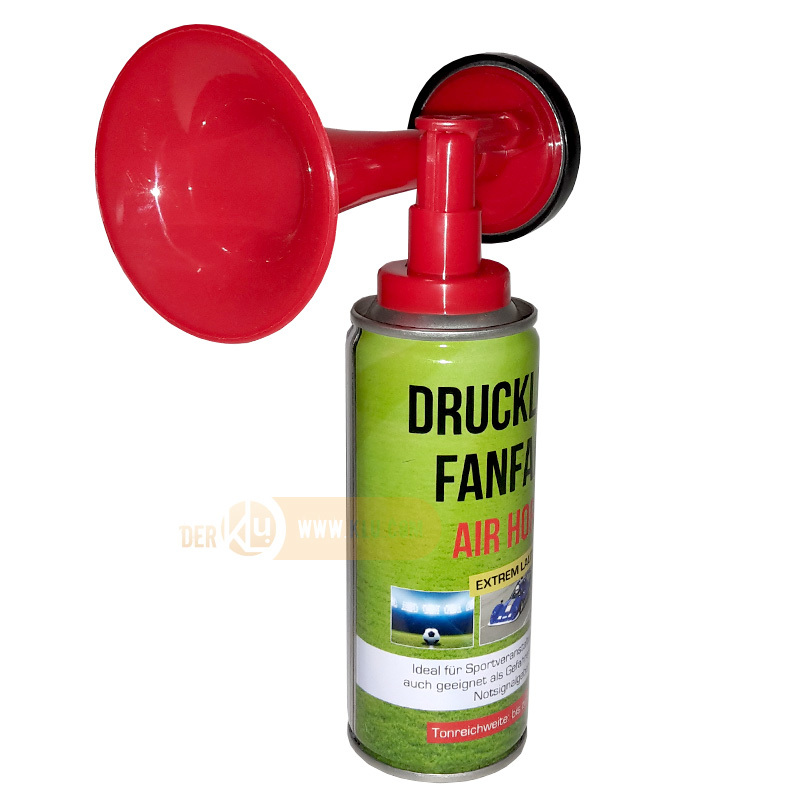 Ideal for many sports events like football and Formel 1, Party, and Outdoor! Also ideal as a hazard warnings on the open sea, in the mountains or other hazard areas! 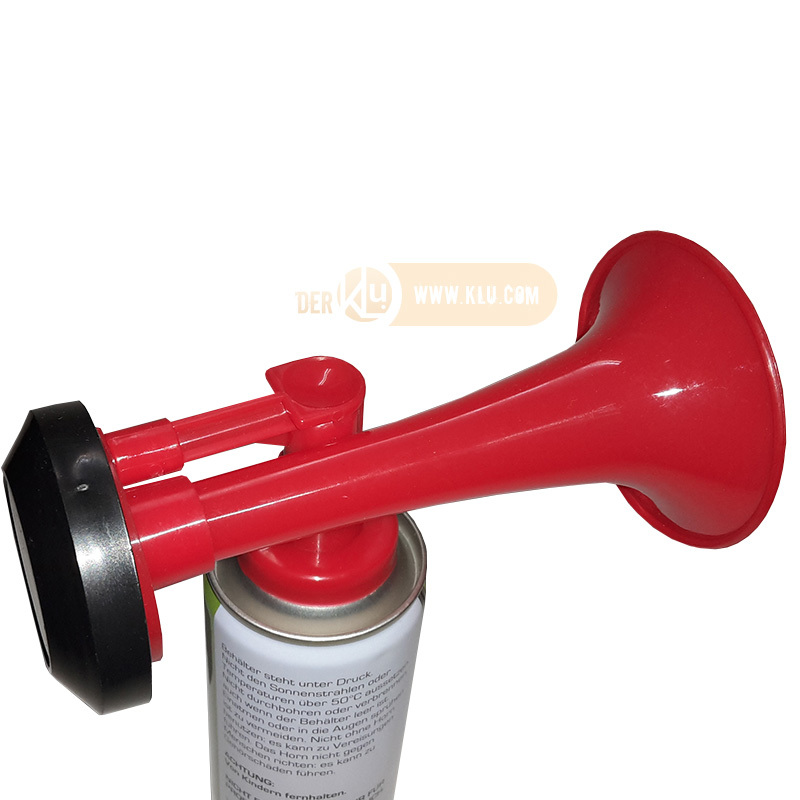 With new, solid and long-living trigger mechanism/Horn in red* With extra fruitfully 100 ml compressed air container. A new design is possible! Related links to "Compressed air fanfare/handy horn"
Customer evaluation for "Compressed air fanfare/handy horn"